Navy SEALs were after the head of al Qaeda in the Arabian Peninsula in last week’s raid in Yemen, but Qasim al-Raymi survived and is now taunting President Donald Trump. The raid by SEAL Team 6 and Emirati commandos killed 14 al Qaeda fighters and 10 or 11 civilians, including an 8-year-old girl and one SEAL, Chief Petty Officer William “Ryan” Owens. Trump declared the raid a success. “The fool of the White House got slapped at the beginning of his road in your lands,” al-Raymi said in an audio tape. NBC News said Monday military officials authenticated the tape. The raid reportedly has re-energized al Qaeda. It was unclear whether al-Raymi, considered the third most dangerous terrorist in the world and who is on the U.S. most-wanted terrorist list, escaped, was elsewhere when the raid was conducted or had been tipped off, NBC said. Preparations for the raid began in the Obama administration. Defense Secretary James Mattis and Joint Chiefs of Staff Chairman Gen. Joseph Dunford reportedly told Trump al-Raymi’s capture would be a game changer. The raid was conducted by two dozen SEALs, with as many as 40 other ground and air forces backing them up. A half-dozen Yemeni soldiers and a dozen Emirati commandos also were involved, NBC reported. “Almost everything went wrong,” a senior U.S. intelligence official told NBC. Occupants of the target house may have been alerted by a barking dog. Kabul, Afghanistan (CNN) At least 20 people are dead after a suicide blast Tuesday outside Afghanistan’s Supreme Court in Kabul, police and other officials told CNN. Iran removed a powerful missile from a launchpad east of Tehran within the past few days, Fox News has learned, as U.S. and Iranian officials continued trading public barbs about the Islamic Republic’s missile tests. Satellite image from ImageSat International. The Pentagon is concerned because Safir missiles use the same components as those needed for an intercontinental ballistic missile. Iran’s ballistic program has “expanded dramatically” in the past 10 years, a senior U.S. defense official told Fox News. 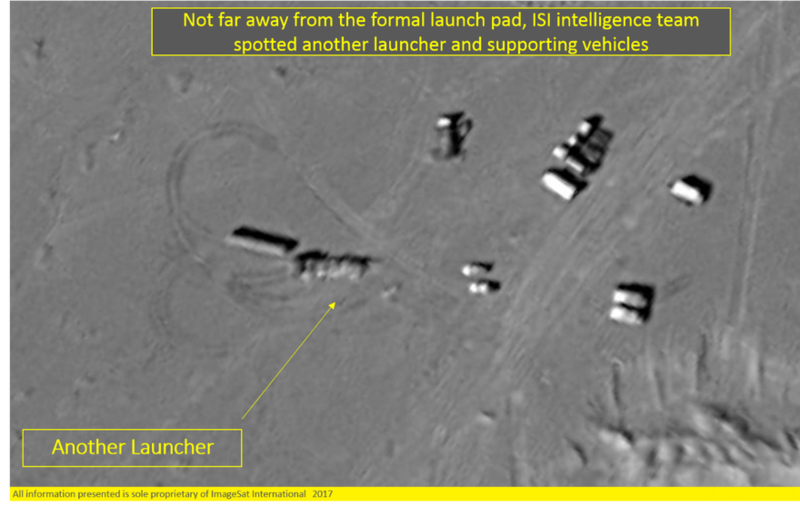 New satellite imagery from Feb. 3, obtained exclusively by Fox News from ImageSat International and verified by U.S. officials, showed Iran preparing a Safir for launch. That missile is the type Iran has previously used to put a satellite into space. 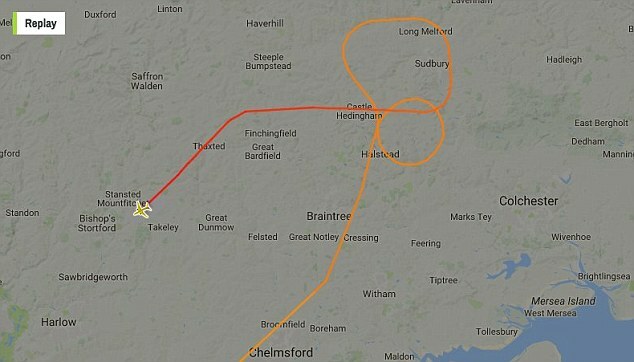 A Pakistani passenger plane has landed at Stansted Airport after being escorted by fighter jets. Two Typhoon jets were scrambled to meet Pakistan International Airlines flight PK757 after unconfirmed reports of a security threat. The plane landed safely just before 3pm, with no injuries reported. Essex Police said the diversion was due to reports of a disruptive passenger on board and was ‘not believed to be a hijack situation or terror matter’. A car belonging to the police chief of the Swedish city of Uppsala has exploded in northern Stockholm. No one was injured in the incident, but police are now investigating a possible link between the blast and the officer’s activities. The vehicle, parked outside the police chief’s home in the northern part of Stockholm, blew up during the early hours of Monday morning, according to broadcaster SVT, citing investigators. The police chief and his family are being cared for, and officials have launched a preliminary investigation on the basis of endangering public safety. We can’t rule anything out just now, but we are working to try and find out what the motive could be for the detonation,” Uppsala police spokesperson Lisa Sannervik told the TT news agency, as cited by the Local. The Venezuelan government received a pat on the back from Russia Monday, with its foreign minister expressing the Kremlin’s strong support for Nicolas Maduro’s socialist rule and a willingness to expand the existing bilateral cooperation. In a meeting with his Venezuelan counterpart Delcy Rodriguez, Serguéi Lavrov also spoke against foreign interference in the country’s internal affairs and reiterated Russia’s commitment to a 2016 deal to reduce oil production. “Foreign pressure is unacceptable,” Lavrov said during a joint press conference after the Moscow meeting. “It is very important to avoid artificially-fueled tensions and protests which violate Venezuela’s laws and may lead to dangerous consequences for both Venezuela and its neighboring countries,” he added, as reported by Russian news agency Tass. GREEK politicians are calling on Prime Minister Alexis Tsipras to default on EU bailouts and renegotiate with their lenders. And the country’s former finance minister Yanis Varoufakis has blasted the German finance minister Wolfgang Schaeuble also directing his ire towards the EU Monetary Affairs Commissioner, ECB negotiators and the French Finance minister accusing them of lying to entice Greece into a dodgy bailout deal. Manufacturer will pay $2.2 million and delete data to settle privacy-invasion charges. The former French president Nicolas Sarkozy is to face trial for alleged fraudulent financing of his failed 2012 bid for re-election, a legal source has said. The case centres on an alleged system of false accounting used by Sarkozy’s officeto conceal an enormous campaign overspend, mainly on the lavish rallies and US-style stadium gigs that cemented Sarkozy’s reputation as a political showman. The limit on presidential campaign spending in France is €22.5m (£19.5m), and investigators suspect Sarkozy’s campaign spent €23m on top of that. Sarkozy has always denied any wrongdoing in the case, or even any knowledge of Bygmalion, an events company that allegedly concealed the overspend. Hungary will submit proposals to the EU to protect Europe’s borders by automatically detaining any asylum seeker for the whole period of their asylum application, according to the government’s chief spokesman, Zoltán Kovács. Kovács claimed Donald Trump’s election in the US was contributing to “a change of mood in Europe” that vindicated the Hungarian prime minister Viktor Orbán’s tough position on migration, and said the recent EU summit in Malta marked a turning point in the EU’s attitude to migration in the Mediterranean. At a briefing in London, he said anyone seeking asylum through Hungary would be kept in “shelters” for the whole period of their application, though they would be free to go back to their own country at any point. Vladimir Putin has ordered his air force to prepare for ‘a time of war’, Russia’s defence minister has revealed. The Russian president has launched a spot check on the country’s aerospace forces, in order to ‘evaluate readiness’ for combat. Air defence systems are set to be deployed, minister Sergey Shoigu revealed. John Bercow is facing a desperate battle to hang on to his job amid a major backlash over his ‘grandstanding’ decision to ban Donald Trump from addressing parliament. Furious Tory MPs are considering forcing a vote of no confidence in the Speaker after an extraordinary intervention in which he branded the US President ‘racist and sexist’ and said he would not authorise the use of historic Westminster Hall during the impending state visit. The comments were cheered by many MPs in the chamber, who have been heavily critical of the travel ban imposed by the White House on nationals from seven mainly-Muslim countries. But Tories have broken ranks to condemn Mr Bercow for abandoning the Speaker’s traditional neutrality and wading into international politics. The Navy’s aircraft arsenal is so depleted it would take several years to rebuild the fleet even if the Trump administration allotted the funding needed to repair inoperable aircraft, according to a policy expert and former Air Force pilot. John Venable, a senior research fellow for defense policy at the Heritage Foundation, cited a report released Monday that found two-thirds of the Navy’s strike fighter jets are unable to fly due to maintenance problems exacerbated by several years of military budget cuts. Thirty-five percent of grounded fighter planes are waiting for parts, while 27 percent are undergoing major depot work, according to the report published by Defense News. A full 62 percent of F/A-18 Hornet and Super Hornet strike fighters are out of service, a concerning figure because of the essential role the planes fill in the fleet’s combat power. In all, more than half of the Navy’s planes are grounded, including some 1,700 combat transport aircraft, patrol aircraft, planes, and helicopters. A major airline company currently engaged in business with Iran, the leading state sponsor of terrorism, stands to receive billions in tax breaks under a new plan being floated by a large coalition of Republican lawmakers. A new tax plan spearheaded by House Republicans includes a provision that would remove government fees on exports, meaning that Boeing—which is locked in a multi-billion dollar deal to sell the Islamic Republic planes—could receive $56.7 billion in tax breaks from the U.S. taxpayer. Boeing is currently lobbying in favor of the revamped tax plan, along with other multinational corporations. BEIRUT (AP) — Syrian authorities have killed at least 13,000 people since the start of the 2011 uprising in mass hangings at a prison north of Damascus known to detainees as “the slaughterhouse,” Amnesty International said in a report Tuesday. It covers the period from 2011 to 2015, when Amnesty said 20-50 people were hanged each week at Saydnaya Prison in killings authorized by senior Syrian officials, including deputies of President Bashar Assad, and carried out by military police. Kremlin spokesman Dmitry Peskov said that Russian attitude toward the further expansion of NATO to the east is well known and this attitude is negative. MOSCOW (Sputnik) — Russia has a negative attitude toward the further expansion of NATO to the east, including the possible admission of Montenegro to the alliance, Kremlin spokesman Dmitry Peskov said Tuesday. “If we abstract from some media reports and statements, the attitude of the Russian Federation toward the further expansion of NATO to the east is well known. This attitude is negative,” Peskov told reporters. The spokesman added that Moscow would abstain from commenting on media reports regarding Montenegro accession to NATO, stressing that it received no official statements on the issue from US President Donald Trump administration.On Monday, media reported that US National Security Adviser Mike Flynn would recommend Trump to support Montenegro’s accession to NATO. Kurdish officials on Monday accused the Turkish army of shelling the villages of Maranaaz, Vilat al-Qadi, Sheikh Issa east of Afrin district and entering Syrian territory. Turkish media confirmed the shelling. “Turkish army and affiliated terrorists are heavily shelling east Efrin [Afrin] from Azaz city since Monday evening — the attacks continued until the moment,” the Kurdish People’s Protection Units (YPG) said in a statement. The Turkish army has been bombarding Kurdish positions in Afrin district from the rebel-held areas of Marea and Azaz in Aleppo Governorate, in northwestern Syria. Inada reiterates Japan’s standing policy to not involve its forces in the South China Sea beyond training missions. Speaking on Sunday, at the conclusion of U.S. Defense Secretary James Mattis’ two-day visit to Japan, Japanese Defense Minister Tomomi Inada said during a television interview that Japan’s Self-Defense Force (SDF) would not deploy to the South China Sea with the United States Navy. “I told Secretary Mattis that Japan supports the U.S. military’s freedom of navigation operation in the sea,” Inada said on Sunday, according to Japan’s Jiji news agency, citing comments by Inada during the interview. “But the SDF will not be sent to the area,” Inada clarified. “Japan will play its role through defense cooperation and training,” she added. Japan, while an interested observer in the South China Sea disputes and a supporter of international law and the peaceful settlement of disputes, has not carried out operations in the area outside of training and drills. Seeking to revive its long-dormant aerospace industry, Taiwan on Tuesday launched a $2.1 billion investment in the production of air force jet trainers to be designed and manufactured on the island to counter Chinese military and diplomatic pressure. President Tsai Ing-wen presided over a ceremony in the central city of Taichung to inaugurate the project, which she hopes will aid Taiwan’s security and stem the flow of engineering talent overseas. The push to develop new homemade equipment is seen as growing more urgent against the backdrop of rival China’s increasingly rigid approach to Tsai’s independence-leaning government. “Building fighters locally is not a dream, it is an action. We not only want the fighter to take off, but also want the industry to upgrade and take off as well,” Tsai told participants.